Sunroom Looking towards Buzzards Bay. Single Bed. House is right of the ''Knoll'' house. Beach to the left. 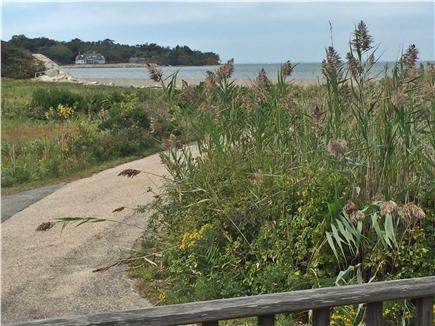 Less than 5 blocks from the village of Woods Hole and 2 blocks from Stoney Beach, this cottage has a large lot and excellent off street parking. 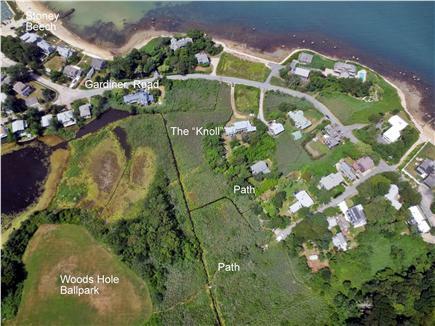 Close to Aquarium, Labs, and Woods Hole Ballpark. 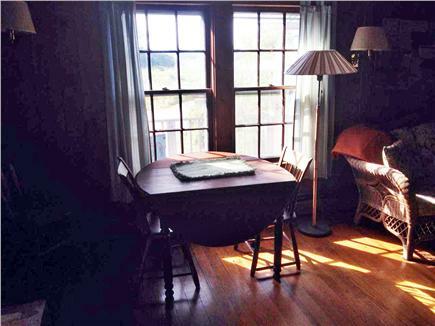 The front porch has a cozy table for two and is a great place to relax and watch the world go by. 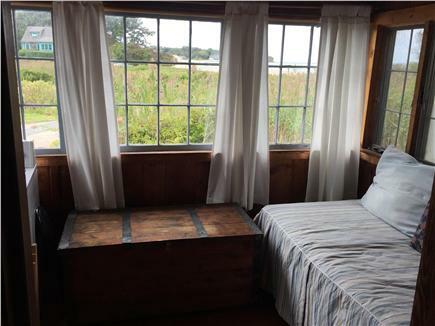 The sun room at the front of the house has a single bed and ocean views. 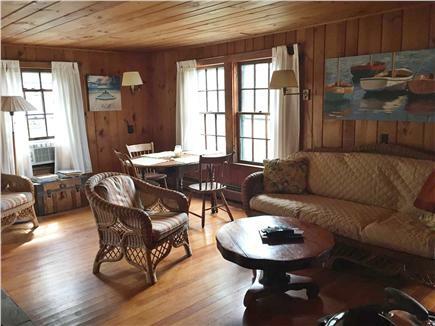 The living room has hardwood floors, wicker furniture and a dining area with views to New Bedford. 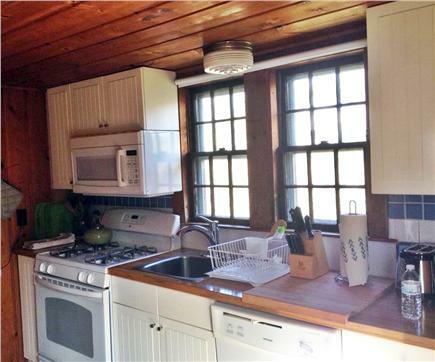 The kitchen is newer and has a dishwasher, microwave and gas stove. 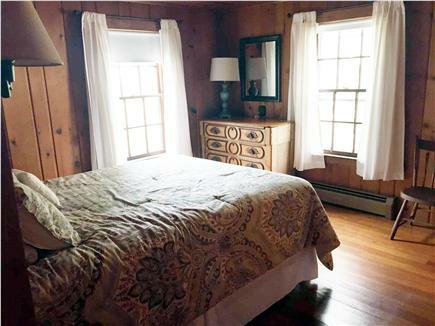 The bathroom has a stall shower, and both bedrooms have queen size beds and good closets. Other amenities include a washing machine and a dryer, cable TV, Internet, and a BBQ grill. A great place for all of us. Request railings for back of house down or up stairs. It is perfect. 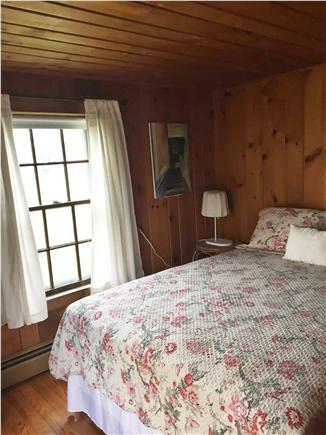 Cozy, comfortable, clean cottage. Very close and convenient to the Marine Biological Laboratory. We loved it all – great view, wonderful sunsets, perfect location. We loved staying in this place. It is near where relatives are staying. We have known this property for many years and are very happy staying in it.